Naturally cool and soothe muscle aches, minor arthritis and back pain. Menthol stimulates nerve endings that transmit cold, much like an icepack does, overriding the sensation of pain. Active Ingredients: Menthol 3% w/w. Inactive Ingredients: Alcohol SD40B (provides cooling), carbomer (thickening agent), polysorbate 60 (solubilizer), tromethamine (pH adjuster), water. I have been using this product for years and find that it does not burn the skin but is deep penetrating. The only one that works for me and my family. my mom has a swollen sore knee and this is the only thing that we have found to work for her. Great cooling sensation that lasts. 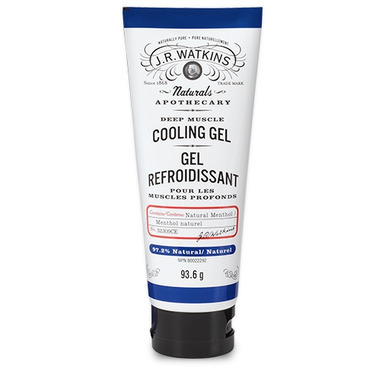 This is a great Watkins product. It soothes hot and strained muscles.